Liverpool have adopted a firm stance with Borussia Monchengladbach after growing angry with the club’s pursuit of Rhian Brewster. The U23s striker was recently linked with a summer move to the Bundesliga having not yet agreed to a professional contract at Anfield since turning 18 at the beginning of April. Brewster had been tipped to continue a mass exodus of young English talent seeking regular first-team football in Germany, with Monchengladbach one of a number of teams reportedly interested in the teenager. Liverpool’s disapproval seemingly stems from the denial of the right for clubs to approach Brewster granted by the activation of the third year of his academy scholarship. Acting on the belief Monchengladbach have defied this rule, Liverpool have cancelled the pre-season fixture that had been scheduled to take place between the two teams on August 7, according to Sky Sports. 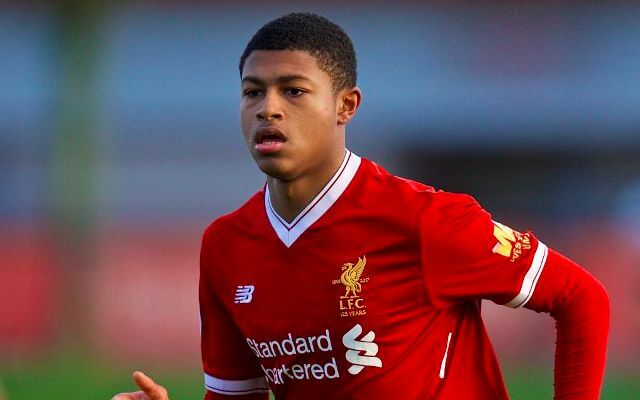 Brewster boasts a blossoming reputation on Merseyside courtesy of his swift rise to prominence through the club’s youth ranks. The U17 World Cup winner has been sidelined since undergoing ankle surgery in January, but is expected to return in time to play a role in pre-season. Injuries have proven a cruel disruption to form that had displayed signs of propelling him into early first-team contention, with a setback last summer denying him the opportunity to test himself alongside his senior teammates during the club’s tours of Hong Kong and Germany. Jurgen Klopp’s clear admiration for the forward suggests there is little chance of the German allowing him to slip from his grasp ahead of next season.